This cake is an old, old favorite of ours. It's a cake where the whole is definitely more than the sum of the parts. 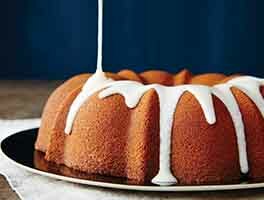 The moist, semi-chunky cake, spread with the frosting equivalent of brown sugar fudge, is perfect served with a cup of coffee or, better still, a glass of ice-cold milk. Our thanks to the wonderful Bakery Lane Soup Bowl cookbook for the inspiration for this recipe. Baking gluten-free? For great results, substitute King Arthur Gluten-Free Measure for Measure Flour for the all-purpose flour in this recipe; and increase the baking time to 55 minutes, no other changes needed. 42 mins. to 47 mins. 2 hrs 2 mins. to 2 hrs 17 mins. To make the cake: Mix all of the ingredients except the apples and nuts in a large bowl. Add the apples and nuts, and mix until the apples release some of their juice and the stiff mixture becomes a thick batter, somewhere between cookie dough and brownie batter in consistency. Don't worry if the mixture doesn't immediately loosen up; this will take 3 to 5 minutes at medium speed in a stand mixer. Remove the cake from the oven and place it on a rack to cool as you make the frosting; don't remove the cake from the pan. To make the frosting: Melt the butter in a small pan over medium heat. Stir in the brown sugar and salt and cook, stirring, until the sugar melts. Add the milk, bring to a boil, and pour into a mixing bowl to cool for 10 minutes. After 10 minutes, stir in the confectioners' sugar and vanilla. Beat well; if the mixture appears too thin, add more confectioners' sugar. Pour the warm frosting onto the cake, smoothing it over the entire surface. 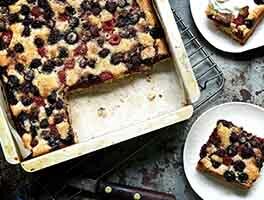 Cut into squares and serve — warm, or at room temperature. Store the cake, covered, at room temperature for several days; freeze for longer storage. To toast nuts, place them in a single layer in a cake pan. Bake in a preheated 350°F oven for 6 to 9 minutes, until they're golden brown and smell "toasty." 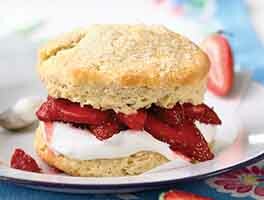 To guarantee lump-free frosting, sift confectioners' sugar before adding to the butter mixture. Usually all the lumps disappear as you beat the frosting; but to guarantee no lumps at all, sift the sugar first. Some readers have remarked that the frosting is quite sweet. 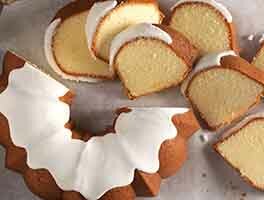 For a less-sweet frosting, use 1 1/2 to 1 3/4 cups confectioners' sugar, and reduce the milk to 2 tablespoons. You'll still have plenty of frosting to cover the cake. Our Gluten-Free Measure for Measure Flour makes it easy to make many of your favorite traditional recipes (like this one) gluten-free. Simply substitute Measure for Measure flour 1:1 for the flour called for in your recipe; no additional ingredients needed. The only reason this recipe gets 4 stars is that as written, it would be too sweet. I modified by reducing sugar in the batter by 1/3 cup and tossing the apples in lemon juice. For the frosting, I followed the top and only used 1.5 cups powdered sugar and added 2 tsp maca powder and 1/2 tsp apple cider vinegar to cut the sweetness. As I made it, this cake is 5 stars. The recipe could use a bit more work. I baked this for the third time in the wee hours of this morning. It came out good as always. I do recommend the recipe. However, I will not make it again until the fall when the fresh crop of apples comes in. I refuse to do it with warehouse apples again. They were hard and tasteless and green near the center core. I coated them in cinnamon sugar before putting them in the mix to try to add some flavor. The elderly ladies here loved it all the same. I also agree that if you want a thicker cake, use a 9x9 dish. I use nothing but old Pyrex for my cakes. Made this many times. This recipe should be rated as KAF guaranteed and I'm not sure why it is not. So easy to make and comes out excellent every time. Thanks for sharing this recipe! The cake was moist and delicious. This reminded me of carrot cake, but with apples instead of course. That being said I think I'd prefer cream cheese frosting or no frosting at all to cut the sweetness of the apples. The frosting was delicious as well, it was just more rich than I would've liked for this cake. All in all, this was a great recipe I'd make again. If vanilla - butternut flavor is unavailable, try a pinch of fenugreek powder!It gives a nutty/maple type flavor to the frosting ! Absolutely delicious! Made it with granny Smith so some of the tang would cut through the sugar. It was sweet but amazing! Came out moist and perfect! Super recipe, tasty and easy to make. 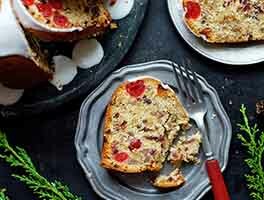 I made this cake following some of the reviews: smaller pan, juicy apples and then I eliminated a little over one-third cup of the sugar thinking I was going to frost it and it would be a little too sweet for me perhaps. Added almonds as that is what I have the most of. It was a perfectly good snacking cake - with less sugar and skipping the frosting, though I love the kind in the recipe. Loved this recipe! Everyone loved it at my Friendsgiving too. One curiosity, is there instructions to bake this in an 8x8 or 9x9? I would've enjoyed a piece of cake with thicker cake. I also felt the icing was a little thin on the cake. Baking it in a smaller dish would solve both of the issues I would change. The flavor is amazing regardless though. One tip: even if your batter looks ready after adding apples for one minute, blend for the full time. Turned out moist and flavorful. The frosting is too good, lucky to make it onto cake. 5 stars!